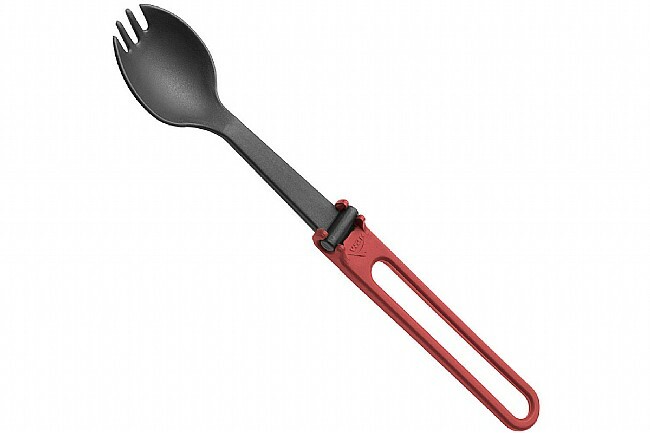 The Folding Spork from MSR features a rounded and curved eating platform like a spoon with short prongs at the tip, like a fork, so you get the utility of both in one utensil. The Folding Spork is made of BPA-free materials and collapses for efficient packing. Length: 8 in (20cm) open; 4.5 in (11.5 cm) closed. Weight: 0.35 oz (9.92 g).